Dassi Erlich, who says she suffered sexual abuse in an Australian ultra-Orthodox community, tells of her long journey, accuses former community of not taking steps to protect the next victim. 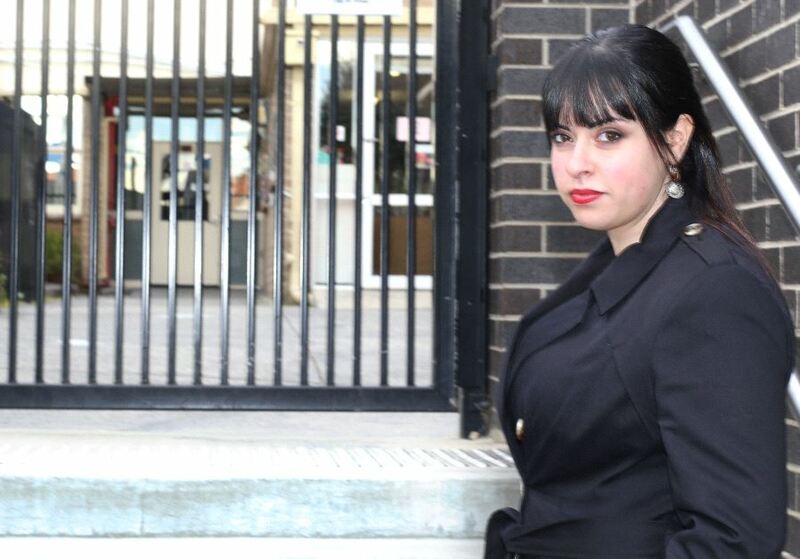 Dassi Erlich grew up in Adass Israel, the ultra-Orthodox community of Melbourne. She claims that at 15 she was repeatedly molested by Malka Leifer, the headmistress of the community school, whom she trusted and loved, a claim an Australian court found to be true in 2015 in a civil suit. Consequently, the Victorian Supreme Court ordered the Adass Israel School to pay Erlich more than $1 million, one of the largest sexual abuse civil suits in Australia’s history, for its failure to prevent the abuse. However, Leifer has yet to face trial in Australia, and she currently lives in Israel, although there have been several attempts to extradite her. For years Erlich remained silent. Now she is demanding justice for herself and the many other possible victims who don’t have a voice. But, as she is discovering, the wheels of justice grind exceedingly slowly. A NUMBER of weeks ago, at the start of a session at Australia’s Limmud - Oz three day annual study event, Erlich hesitantly approached the podium and started speaking. Initially, her voice quavered a little; then it stabilized. As she read out a text, silence fell upon the room. Soon, tears were streaming from shocked eyes. Erlich was telling her story, one that covers an expanse of time and space – from adolescence to adulthood, from Australia to Israel. The story weaves family intrigue, trauma, personal loss and, ultimately, an attempt to make sense of what happened. But behind them is an overarching story – one of sexual abuse. This was Erlich’s first public disclosure. Her story had been mentioned before in the press, but like so many other cases of sexual abuse not told in the first person, details were sketchy, names had been changed and photographs blurred. Her story begins as a young girl growing up in the haredi community of Adass Israel, some 200 families packed into a square-kilometer block of Melbourne’s Elsternwick neighborhood. It is a reclusive community, steeped in ancient rites and rituals. The men are conspicuous by their attire, wearing dark suits and shtreimels (furtrimmed hats). Adass Israel has its own kindergartens, schools, restaurants, shops and synagogue; members run their own medical services. Close-knit and anti-Zionist, its members have scant contact with the outside world, including the wider Jewish community. Some would describe it as a parallel universe. Erlich is the fourth of seven children. She grew up in a home that she describes as abusive, but does not elaborate. “Physically. Emotionally. Quite cool in some ways” is all she offers. “You need to understand that the Adass Israel community is very exclusive and reclusive,” she says by way of explanation. Indeed, every aspect of life in the community is prescribed and scrutinized. There is total segregation between the sexes from a very young age. Members are permitted to use only basic mobile phones, called “kosher phones,” without access to media or the Internet. Books are routinely vetted and censored for inappropriate content. “The only access to news came in the form of a newsletter, once a week, and my Enid Blyton books had large chunks of text blacked out,” she laughs. When I ask whether she watched any movies in her childhood, she replies with a smile. “I was 16 when I first watched a film, on video. It was The Sound of Music; but only the first part, because the second part was deemed too explicit,” she chuckles sheepishly. ADASS ISRAEL School, the community school, also imposes strict gender segregation, with separate campuses for boys and girls. Education focuses largely on religious instruction; secular studies are relegated to a secondary role. Until recently, the school had no formal curriculum and no matriculation program. Graduates leave with no externally recognized qualification. In 2007, the state education authority warned the school management that unless they followed a formal curriculum, it would no longer be registered as a school. Erlich attended the school from kindergarten at age three, until 12th grade at age 18, but, as she drily summarizes, “I left school with a year-seven level of English and math, which doesn’t set you up for life outside. “I was craving attention and she set herself up to give me that attention. She’d say ‘I am like a mother to you,’ ‘I can love you and be there for you.’” The preferential treatment included one-on-one lessons in Jewish values and morals. “I was very proud of being the favorite, very proud… you know, it was quite a status in the school. Mrs. Leifer was the most important person in the school. Everyone idolized her. For the first time, Erlich felt special. Then, a few months later, something happened that turned her life upside down. “I STILL remember the first time. It is extremely vivid,” she says as her smile vanishes. The abuse, she said, became more regular and more serious. It sometimes occurred two or three times a week, she said. It took place at night, during the day, at school, at camp and in Leifer’s house. Leifer, she said, would frequently pick up Erlich’s hand and place it on various parts of her own body. Before long, the molestation, she said, included digital penetration. Asked whether she tried to repel Leifer’s advances, she considers the question. And it wasn’t just her, she says. There are currently 74 charges filed against Leifer for sexual abuse by former students in her care. For Erlich, the abuse ended only when she was matched with a man for marriage. By her own admission, it was an escape strategy. “When I first met my husband-to-be [in 2006], it was such a strange meeting. We were sitting at a round table, looking across from each other. This was the first guy I am talking to. I am 19 years old. I had no idea how to talk to him.” After four meetings in the space of one week, they were engaged. Soon after, they married. WHAT FOLLOWED next constitutes a compendium of events that sent Erlich on an inexorable downward spiral. It includes a miscarriage, postnatal depression, a messy divorce, a protracted custody battle and an irreconcilable rupture with her parents. She finally ended up in a private psychiatric facility where she was diagnosed with post-traumatic stress disorder. As with many victims of sexual assault, the trauma finally caught up with her, and like others who have been abused in religious institutions, she turned her back on religion. Today she leads a completely secular life. Rumors had already been circulating that not all was right at the Adass Israel School. The social worker’s intervention set the wheels of justice in motion. On an autumn night in March 2008, in a Melbourne home, a teacher and two board members from the Adass Israel School, along with a barrister and a psychologist, gathered to discuss the disturbing allegations against Malka Leifer. By this time, eight further allegations had been made against her, all related to sexual abuse of students. For the closeknit reclusive community, this was cataclysmic. The board ordered Leifer to stand down as headmistress immediately. THE BOARD did not alert the police. Instead, they hatched their own plan. The following morning, Leifer’s victims were dumbfounded to discover that she had been spirited out of Australia. How this happened and the precise sequence of events would only be clarified seven years later in a court of law, when Erlich filed a civil suit in the Supreme Court of Melbourne against Leifer and Adass Israel School. Giving evidence, Tammy Koniarski, a travel agent, stated that she had received a call late that night from a board member’s wife, instructing her to book tickets to Israel on a flight departing Melbourne at 1:20 a.m. The passengers were Malka Leifer and four of her children. The tickets were paid for by Adass Israel. The school recently announced the appointment of Rabbi Shlomo Kluwgant as the new principal of Adass Israel school. Kluwgant was exposed in the Royal Commission into Institutional Responses to Child Sexual Abuse as one of the rabbis who discouraged victims of sexual abuse in the Chabad community of Melbourne from reporting to the police. The decision to appoint him to this senior position has sparked fury and disbelief – even within the community. Bringing Leifer to face criminal charges, however, is an entirely different story. In October 2013, the Australian Embassy in Tel Aviv formally requested that Israel extradite Leifer to stand trial. Extradition proceedings began in 2014, and in August that year Leifer was placed under house arrest in Israel. A hearing date was set, but then the presiding judge, Jerusalem District Court Judge Amnon Cohen, noted that the proceedings could not go ahead as Leifer was hospitalized, suffering psychotic episodes and bouts of panic attacks. A psychiatrist confirmed that she was unfit to attend a hearing. Shortly afterward, Leifer was discharged and a new hearing date was set. Once again, her defense team claimed that she was unfit to attend – a pattern that has repeated itself for more than two years – with Leifer checking herself into different psychiatric wards close to a hearing date and pleading to be too sick to attend. In January last year, Cohen was asked to rule on Leifer’s lawyers’ request to dismiss the case against her and to halt the extradition proceedings. State Prosecutor Avital Ribner Oron opposed the cessation of extradition proceedings and demanded that, immediately upon release from hospital, Leifer be assessed by a district psychiatrist to see if she is fit to stand trial. However, Leifer’s legal team stressed that even if her mental state improved and her psychotic state ceased, she would only relapse again close to the next hearing date, given the pressure that comes to bear on their client before court hearings. The decision by Judge Cohen made sensational news in Australia. The Executive Committee of the Rabbinical Council of Australia and New Zealand reacted by stating that “it is deeply concerned with the outcome of the court hearings in Israel regarding Mrs. Leifer’s extradition proceedings and will be voicing its concerns to the Israeli Minister of Justice.” A decision was deferred and Leifer is due to have her case reviewed at the end of the month. FOR THE time being, Leifer is out of reach of the Australian justice system. Nine years have passed since she fled Australia and found sanctuary in Israel. Manny Waks, CEO of Kol V’oz, an advocacy group set up to prevent child sexual abuse in Jewish communities globally – and himself a survivor of sexual abuse – says that the Israeli justice system is becoming a laughingstock internationally in regard to this case. Child protection organizations have joined the chorus of disapproval. Surrounding Leifer is a veil of silence. Dr. Shlomo Mendelovich, the psychiatrist who assessed her in Shalvata Mental Health Center and recommended that she not be brought to a court hearing, declined to be interviewed for this article. Her lawyers, Doron Barzilai and Yehuda Fried, also refused to comment, as did Justice Minister Ayelet Shaked. Leifer turned down the opportunity to respond to questions put to her on the subject. Until Leifer faces the music, there can be no real closure for Erlich or the many others who fell prey to Leifer’s alleged molestation and whose stories are unknown and may never be known. Erlich has finally made sense of what happened to her. At 30, she is able to look to the future and change direction. Last year she successfully finished her studies, qualifying as a nurse. She is the mother of a beautiful six-year-old child and has a solid family network with her siblings. She is also in the process of writing a book. At the end of her statement at Limmud Oz, Erlich turned to the audience. ​Originally published at The Jerusalem Post Magazine.